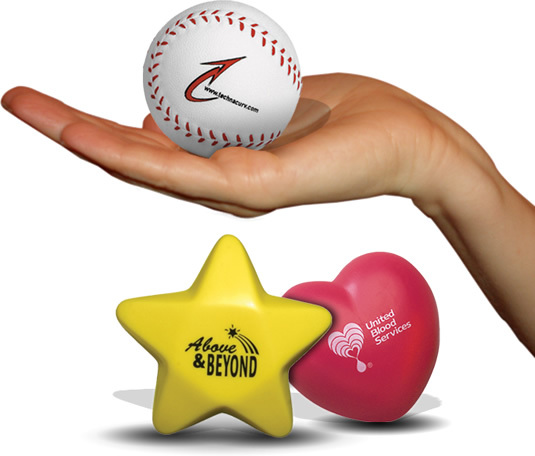 Customized Note Cubes make great promotional giveaways! 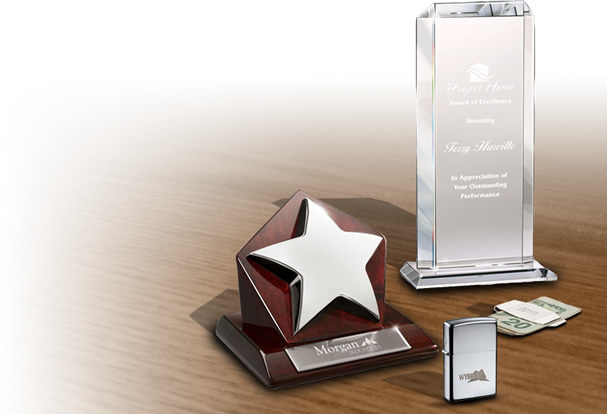 Our custom note cubes are useful items that can be used in offices as well as homes. 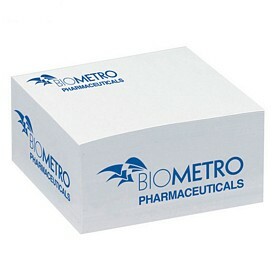 Our promotional note cubes help you to note down important information while you are on a call or in a meeting. 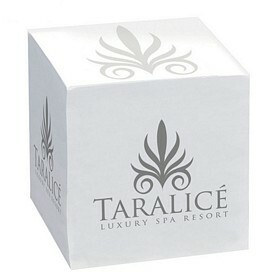 You can keep a list of things to do in front of you at all times with our promotional note cubes. 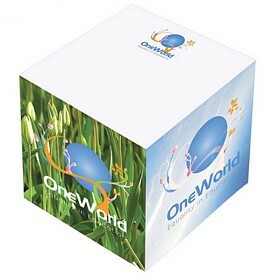 These promo note cubes help in effective management of your work at the office. 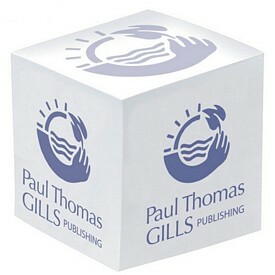 Customized note cubes can be used at home for jotting down phone numbers, names of your visitors, or other small details. 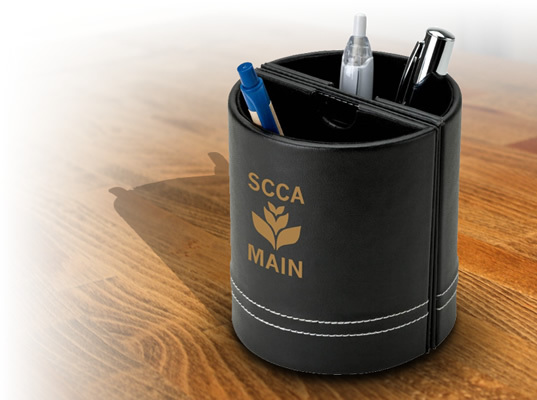 In colleges or schools, personalized note cubes can be used by teachers, professors and students. 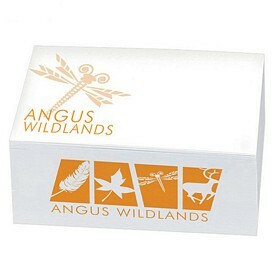 Our Imprinted Note Cubes can be bought in a variety of sizes, and they can be imprinted on the sides, as well as the sheets. 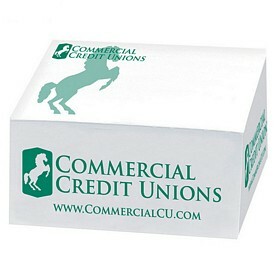 Imprint your company logo on our customized note cubes for a useful and popular product that customers will be able to use on a daily basis. 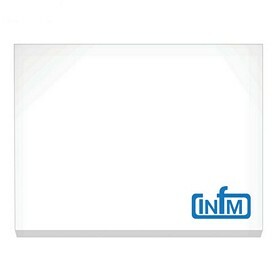 Our promotional Bic Sticky Notes 4" x 3" Adhesive Notepads are a great item hand out to your employees and your customers. The BIC Ecolutions Recycled 4" x 3" Adhesive pads are 50 sheet pads and are made of 30% post-consumer recycled fiber. Custom Note cubes have to be selected based on the group of people that you are going to give them to. If you are giving away the promotional note cubes to students, then you should try our classic promotional Bic sticky notes. You can personalize the sticky notes in full color and get it imprinted with your company logo. If you are planning to give away promotional sticky notes to your employees, then you can opt for our sophisticated promotional note cubes like the post-it notepads. 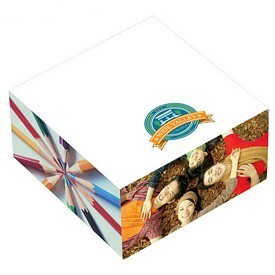 These fascinating customized note cubes can have vivid, photo-quality images on all 4 sides. 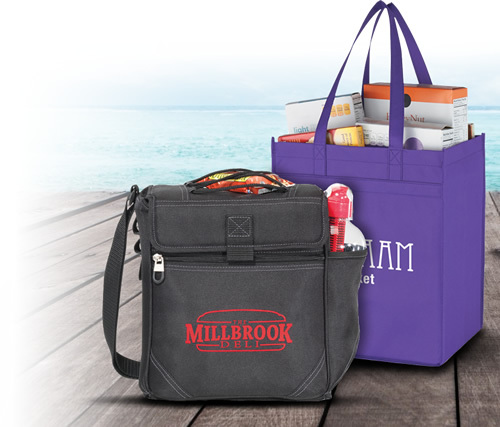 If you want to make the most out of your promotional investment, then you should consider our customized combo packs. 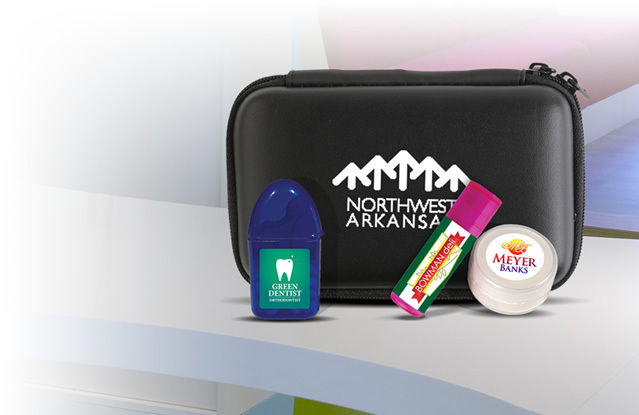 Customers will love our promotional combo utility packs that have something more than just sticky notes. One of our most popular combo packs is the Bic Clic stic pens with 3x3 sticky notes. The pens provide a unique and smooth writing experience. 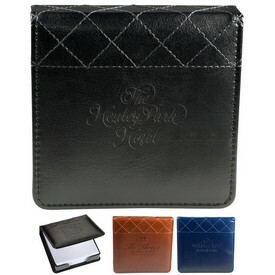 The sticky notes are available in vibrant colors, which helps to draw attention to the sticky notes with your logo on it. 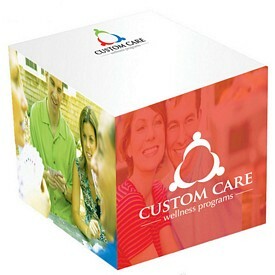 We offer a wide variety of custom note cubes so that you are able to find a product that fits your budget. 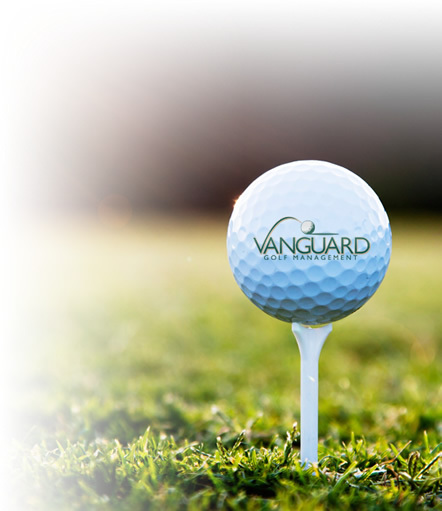 We are known for our quality products and quick service. 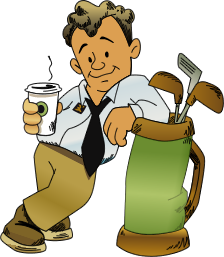 We strive to provide the best products and care for our customers, in order to give you the best buying experience possible. 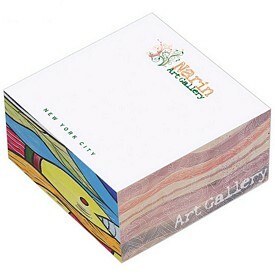 If you want to know about our personalized note cubes in detail, then you can browse through our website. 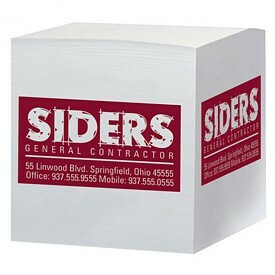 Come to The Executive Advertising for the Best Deals on promotional sticky note cubes.